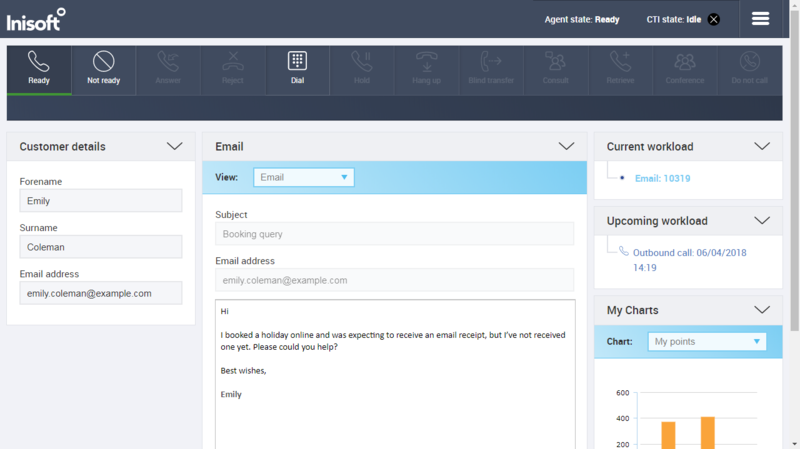 Make it easy for your customers to get in touch with you by supporting email and SMS with Syntelate XA. To let your customers get in touch about different topics, support multiple email addresses and SMS numbers – for example, one email address for general inquiries and another for technical support. Syntelate XA then routes all incoming messages to an appropriate agent. You can also dynamically control the priority of messages. For example, let agents freely work through emails where they have downtime between calls. However, when an email approaches its service-level agreement deadline, push it to an agent as a focused interaction. Syntelate XA then won’t pass the agent any further work until they reply to the email. Syntelate XA automatically matches on the customer’s email address or cell phone number and then retrieves the customer’s record for the agent. This includes the customer’s details and a full interaction history across all the channels, meaning your agents can always give your customers an informed reply. Define snippets / smart text for frequently used pieces of text, making it easy for agents to quickly and accurately reply to common questions. 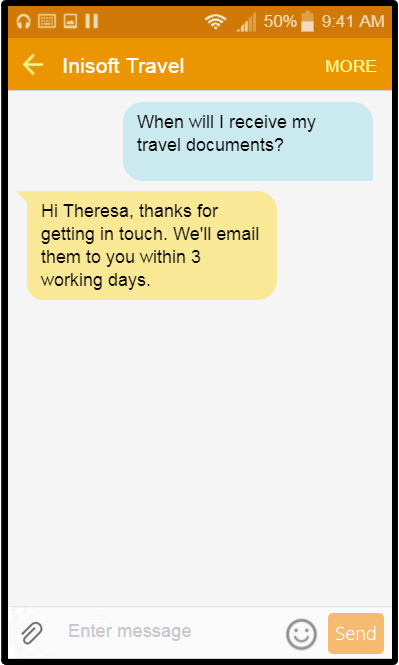 Let agents check for typos before sending messages via the integrated spell check. Permit email attachments with certain file name extensions and automatically strip all other attachments. Let agents deal with multiple SMS chats at a time. Agents can even mix SMS, web, and social media chats (if you also take the Web Chat and Social Media modules). Automatically capture statistics for reporting, such as how long it took an agent to reply to an email – even if the agent starts working on the email and then returns to it later. We integrate with several SMS service providers. What’s more, our flexible architecture lets us quickly integrate with other providers if there’s a particular provider that you’d like to use. Syntelate XA also supports automated messaging via email and SMS. For example, when a customer calls you to update their address, you could automatically email them afterwards to confirm the change of details. Or when a customer has booked an appointment with you, you could send them a reminder SMS 24 hours before their appointment. In a recent survey of contact centre leaders, 28% of leaders agreed that more than a quarter of inbound calls could be avoided if more proactivity was used. For more information, check out our Proactive Contact solution.